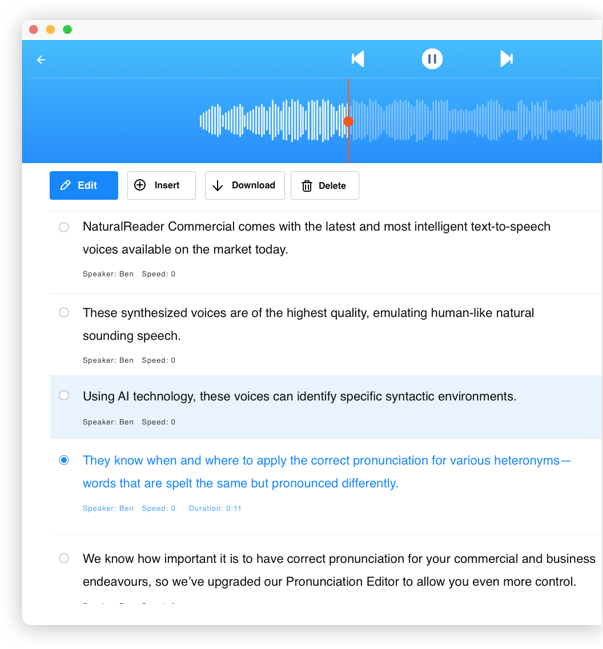 Powerful Text-to-Speech for at home, work, or on the go. Upload text and documents or convert to mp3 to listen to anywhere anytime. Listen on your own time at your own pace. Create audio files more easily for commercial use. Create narration for YouTube videos. © NaturalSoft Ltd. All rights reserved.